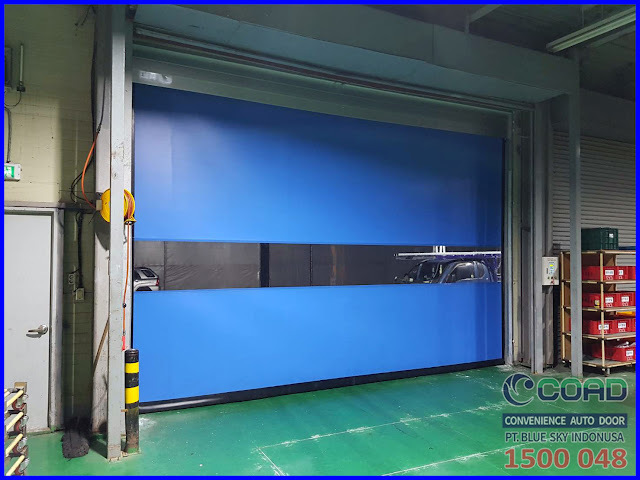 Intelligent airlock solutions can be achieved by means of high-speed doors. 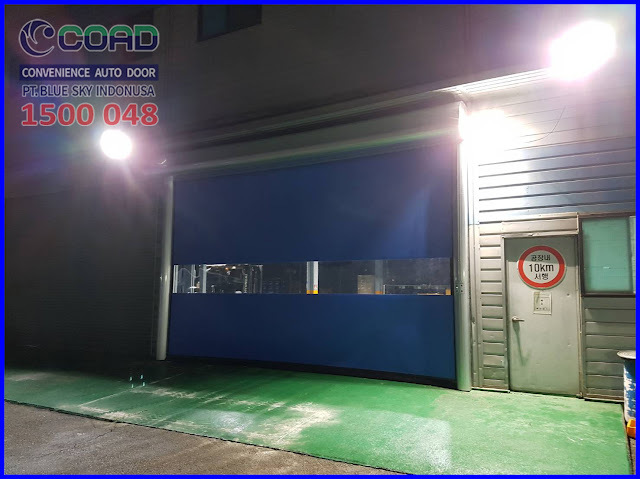 Two doors with highly transparent laths gives a clear view throughout. 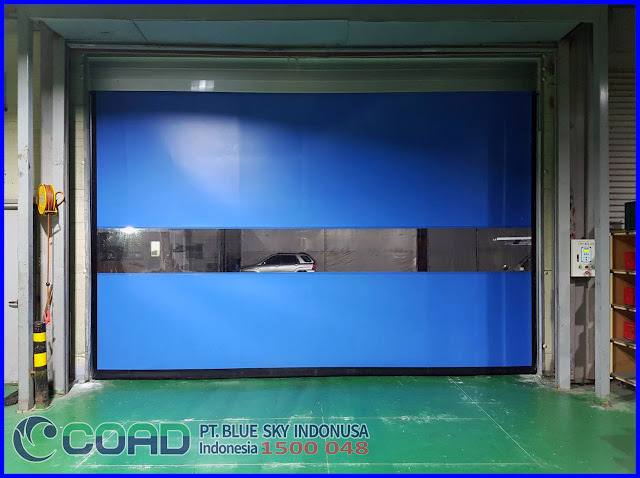 Pressure and temperature differences can easily be controlled by an airlock where the transporter enters the airlock, and the one door cannot be operated before the other has closed. This is also used in security applications. 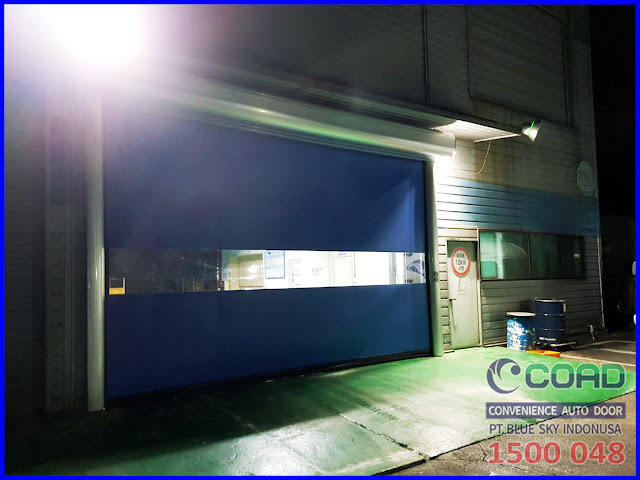 In the strict environmental constraints of pharmaceutical and aggressive environments of the food processes, where hygiene is imperative, doors must not only provide a structure made of stainless steel or composite materials to prevent corrosion, but they must also ensure an exposure time as short as possible to reduce the risk of airborne contamination. 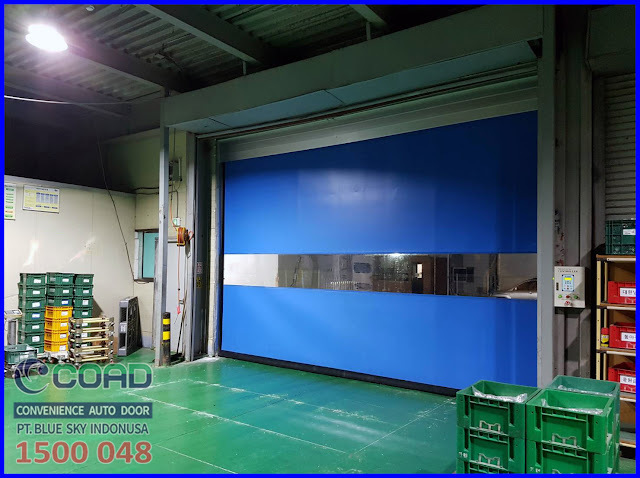 0 Response to "High Speed Door For Food & Beverage Industry, clean, and pharmaceutical processes - COAD Auto Door Indonesia"